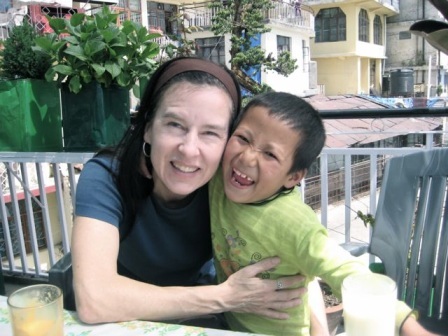 My name is Patricia McCallum and I am the author of Tibetan Life. My Tibetan friends call me 'Drolkar' as they can't pronouce Patricia properly! I am half Australian, half English and was born and raised in Toronto, Canada. I have been around the world several times and lived in France, Israel, Taiwan, South Korea and Australia but have never met a group of people that I adore like the Tibetans. (the Australians come second!) Just about everything Tibetan fascinates me. In 1995 I became a Buddhist in the Gelug Tibetan tradition and became ordained as a Nun at the end of the same year. Yes, you read that right, a nun! A western nun is indeed a rare thing but not in the circles i was hanging out in at the time! In 1998 I moved to Dharamsala, Northern India to study the Tibetan language, meditation and Buddhism. 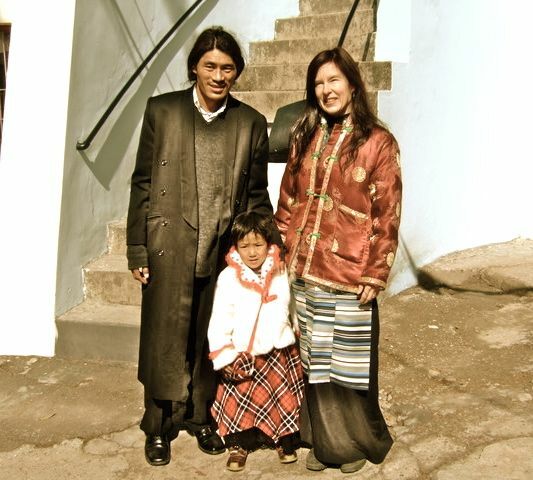 I loved living in the Tibetan exile community so much that I stayed for most of the next 10 years! I didn't stay a nun for this whole time though, only 7 years. 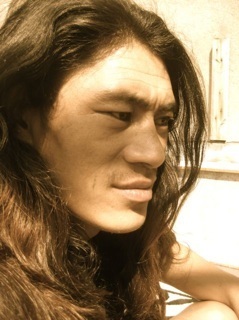 I met a handsome man named Gelek from Amdo, Tibet in 2004. He had escaped from the Chinese oppression in his homeland 5 years earlier. He didn't speak a word of english so it was good practice for me! We were married in 2005. 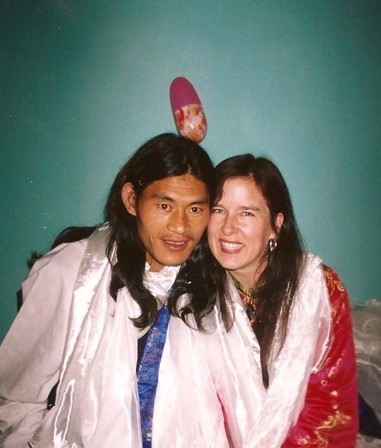 In Tibetan tradition, a couple is considered married once they move in together and then all their friends encourage them to have a big party. There is no formal ceremony, only the offering of white scarves (khatas) to the happy couple. Gelek and I began looking after a 3 year old orphan named Pema. She is so sweet, funny and very smart. We are hoping to adopt her soon. We just moved to Toronto. I am now working as a Yoga instructor and try to work on my Tibetan Life website every chance i get. 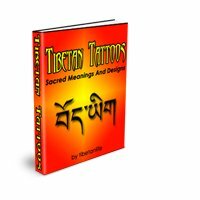 Free Tibetan Life Newsletter. Subscribe Now!